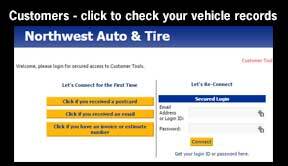 Are You In Need Of New Tires? Why do my front brakes wear out more often than my rear brakes? Why do I always need new rotors? The answer to these common questions may surprise you. After all, brakes only have to do one thing, stop the car. So why have we seen so many changes? The answer may surprise you? Would you believe fuel economy? Well that is most of it. Over the years car manufactures have had to come up with more and more ways to get better fuel economy from your car. Lots of things have changed in the battle for better fuel economy. Things like electronic ignition, fuel injection, front wheel drive, etc. But of all the things that have been done, getting the weight off the vehicle has had the biggest impact on fuel economy. Gone are the big V-8’s that used to power our cars, replaced with more fuel efficient 4 and 6 cylinder engines. And many of the engines are aluminum, not cast iron, so they weigh much less than their predecessors. Brake parts are also heavy, so making them smaller was an easy way to take a lot of weight off the vehicle. Today’s vehicles are equipped with much smaller brake rotors and drums than vehicles 15-20 years ago. But In order to have the same stopping force, more pressure has to be applied to these smaller brake surfaces. This results in much higher temperatures on brake pads, shoes, drums and rotors. These higher temperatures required the use of new friction materials. They started using a lot of semi-metallic and ceramic type friction material that could withstand the intense heat, and still give good service life. The rotors and drums have also been changed to accept and disperse this heat very rapidly, so that after several hard stops, the brakes did not “fade out”, a result of overheated brakes. It all works very well, but what has changed is most of the time the rotor now wears out at about the same rate as the brake pads do. When the rotor material wears away it has lost a lot of its original mass, and can no longer absorb the heat it was originally designed to absorb. When they start to overheat, they tend to warp, and when this happens you end up with brake pulsation or a shimmy feeling when the brakes are applied. If they have not worn too far, the rotor can be re-surfaced. This is a process that is done on a lathe that removes material from both sides of the rotor at the same time. This has to be done so that the parallelism thickness does not change. If the rotor can re resurfaced and not fall below the minimum discard thickness stamped on the rotor, it can be reused. But each one has to be assessed on an individual basis. We rarely will replace only one rotor, as we always want the braking effect to be equal from side to side, so if the left is replaced we would also replace the right on the same axle. This is more relevant on the front brakes than on the rear. The other thing we have to consider is the cost of a new rotor verses the cost of the labor to resurface the old one. Most of the time, it is cheaper to just replace the rotor than to try and refinish the old one. 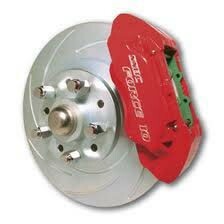 It is not unusual to replace the front brakes several times before the rears. The reason is this, with the older heavier vehicles the braking weight ratio was closer to 60/40. Meaning the rear did almost the same work as the front. With the newer lighter vehicles that has drastically changed. On some of the smaller vehicles the weight transfer is as much as 90/10. Meaning the fronts do most of the work. Because the newer vehicles are so light in the back, the rear brakes wear very little. Because the rear brakes do very little of the actual braking, they don’t wear as much and are usually just inspected, cleaned and reassembled. But the fact is when they get old, the linings becomes glazed and the friction coefficient has deteriorated. So rear brakes that were contributing 15-20% of the original braking effect may now only be contributing 5-10%. This reduced brake effect from the rear will contribute to premature wear in the front, as the fronts are now doing almost all of the work. The result is you may go through 2-3 front brake jobs before the rears are worn out. Oil & Fluid & Leaks – Oh My! Can Car Scent Keep You Safe on ILLINOIS Roads? 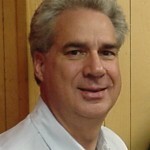 Great, friendly and experienced staff, from the front desk to the technicians in the shop. Always make me feel comfortable and at home when I go there for service to many of the vehicles I am entrusted to keep running and in good shape. They did a great job and very quick turn around. 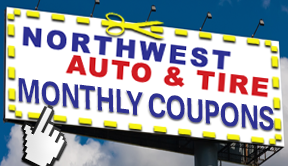 We have taken our cars to NWAuto for about 10 years and have always been thrilled with the service! Everyone at NWA is honest and gives us fair assessments of the work needed for our cars. We never feel that we are told to get unnecessary work and we are always greeted with a smile! The service at Northwest is always quick, accurate and done with a smile. We have been customers since Skip purchased this business. We would be lost without them. 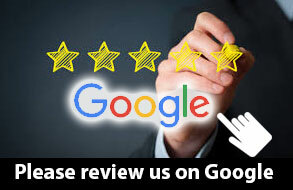 We have sent them many satisfied customers over the years. Thanks for always being there for us. A business where customer service is defined just like it should be. They greet you at the door, drop what they are doing to acknowledge your existence. The are quick to estimate and the estimate is always spot on. The service is outstanding. I would not bring my vehicles anywhere else. Great work, great service. These guys know what they are doing. Convenient local shop, I am a satisfied customer! Credit Available- 60 Days to Pay! Need Tires? New Transmission? New Engine? Major Repairs? We’ll take the pain out of the cost with easy payment plans! Call us today at (847) 872-2211 and we’ll let you know how. 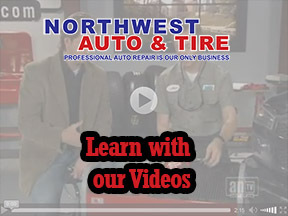 Featured Video: Why Service Your Cooling System?